By David Ponce on 10/07/16 • Leave a comment! 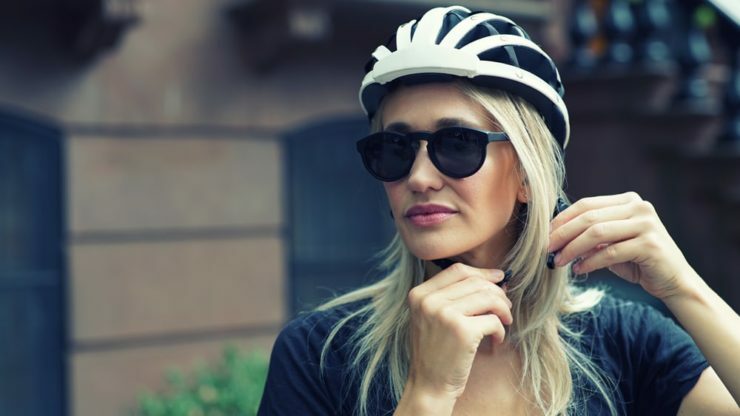 It’s never a bad idea to wear a helmet while riding a bicycle, but their bulk makes them hard to carry after you’re done riding, and this makes it unappealing for many. 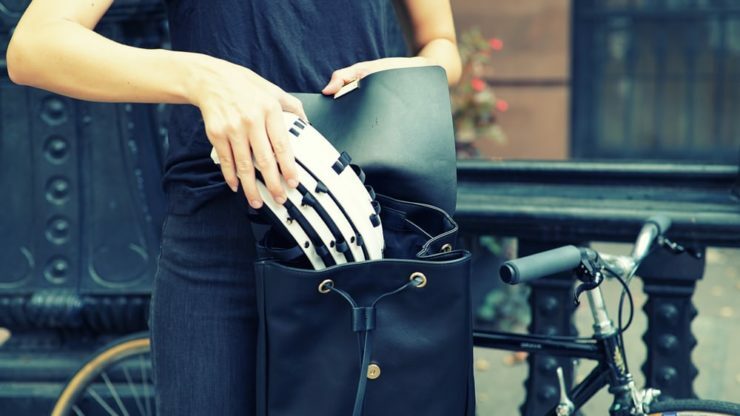 To make your life easier, The Fend helmet is able to fold down to 1/3 of its original size, kind of like an accordion. Its proprietary hinge means it won’t collapse in case of an accident, and is designed to exceed all US CPSC and European EN1078 Safety Standards. It features excellent ventilation and a plush interior liner for added comfort. 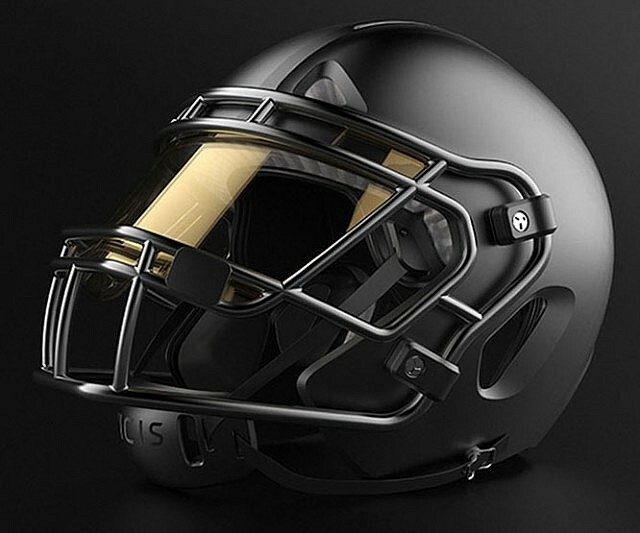 A $79 pledge will get you a helmet of your own, with expected shipping in May 2017. Presumably, carrying your kid on your shoulders is a fun experience. But now you can make that experience even more appealing, if perhaps only to your child. 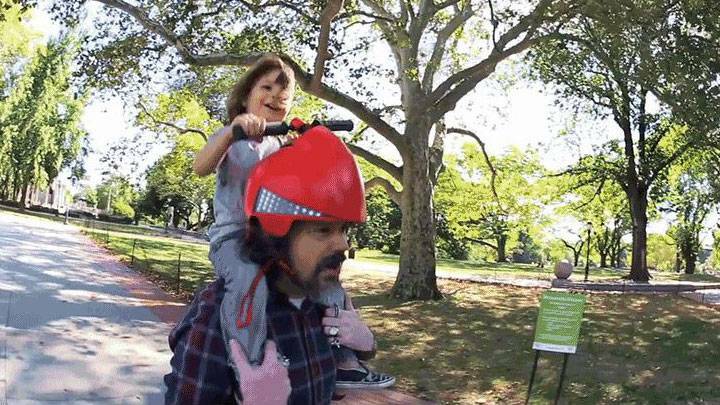 The Piggyback Driver Helmet is meant to give your kid some handlebars while they’re riding high on your shoulders. Certainly it beats choking you from behind with their tiny hands, but it’s once you discover its features that you realize this device just literally turns you into a steed. Turning the handlebars one way or another will light up an LED patch on either side of the helmet, letting you know when your toddler wants you to turn left or right. A horn button will attract the attention of anyone nearby to your complete abandon of any self respect, while a turbo button will give your kid a chance to further humiliate you by encouraging you to run faster. 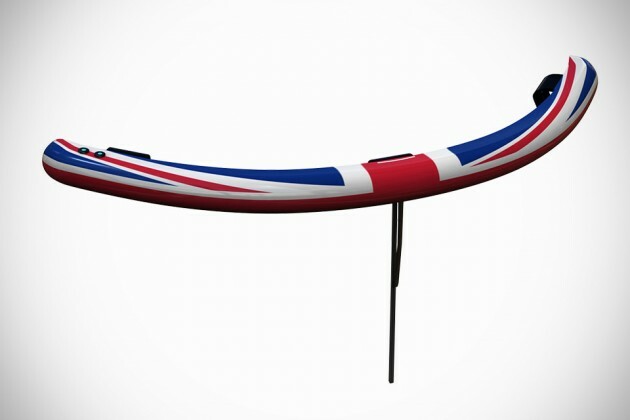 All in all, it’s one of those things that looks totally cool… for someone else to own. It’s not a product that you can buy just yet, having only recently been demonstrated at the New York Maker Faire. The creators are in the process of looking for backers to bring this project to market, though we wonder why they aren’t just Kickstartering it. By David Ponce on 02/08/16 • Leave a comment! 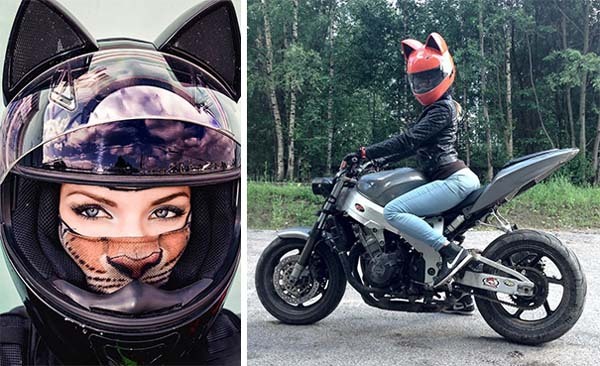 We’re all for having a little bit of originality, but we’re not sure how to feel when that effort involves strapping something like these cat ear motorcycle helmets to our heads. 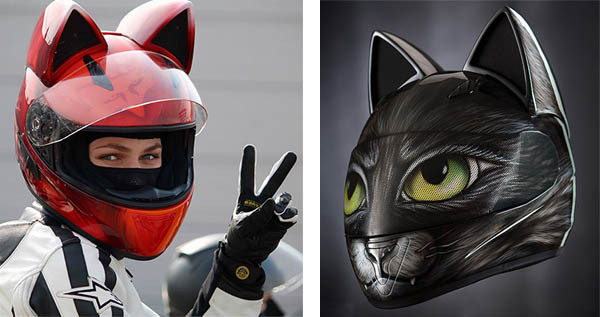 They’re called the Neko-Helmets and they use a IXS-1000 base, which is then customized with these fibreglass ears. They apparently offer no additional wind resistance up to 60mph, and will break off in case of a fall. At 1,780 grams, they’re not the lightest helmets on the road, but it’s not like you were expecting that when purchasing a novelty item. Prices start at $495 and go up to $660. By David Ponce on 01/22/16 • Leave a comment! Most avid riders will never complain about having to tighten a chin strap around their jaws, but the few that get annoyed by it will be interested to read about the Vozz RS 1.0 helmet. 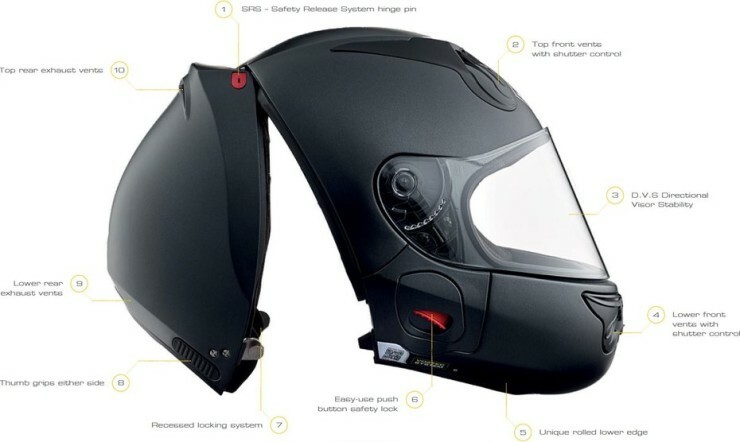 It features an innovative middle hinge that opens the back of the helmet and lets the rider inset his head with ease. 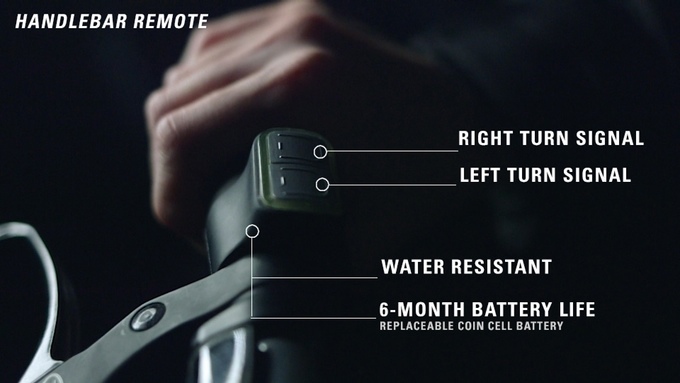 The most innovative feature of the RS 1.0 is the head’s access point. 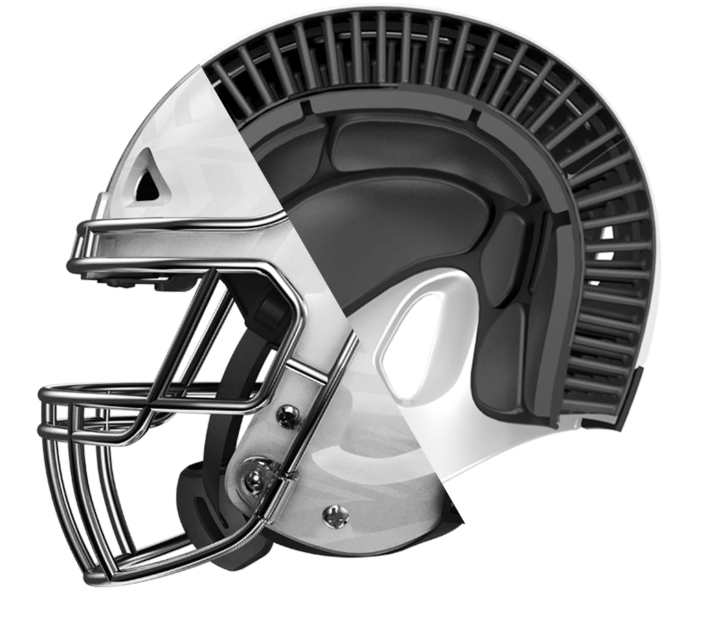 The helmet splits vertically in two parts that pivot around a hinge at the top and toward the back of the shell. This opening offers ample space for the head to slide into the helmet and then it only takes is a little pressure to reattach the two parts via two locking mechanisms. According to Vozz this can be done easily while wearing gloves and even glasses. Reconfiguring the helmet this way does a lot more than get rid of the chin strap. Doing away with the need for a large opening to get the head through, you can have a closer, tighter fit. The chin area has also been redesigned for comfort, while the fact that it’s closed prevents air from entering from below. It looks like a fantastic design, and the helmet is ready to hit the market. Initially sold only at the central company store in East Frenchs Forest near Sydney, Australia, the plan is to roll out to retailers worldwide later on. That could take a while, of course, so until then you can also order one from their online store, starting December 23rd, for an as yet undisclosed price. By David Ponce on 04/02/15 • Leave a comment! Despite your brain being protected by nothing more than a slim bony shell that tends to fracture if you knock it a little too hard, plenty of cyclists still opt to ride without a helmet. It’s somewhat understandable, given their bulk. 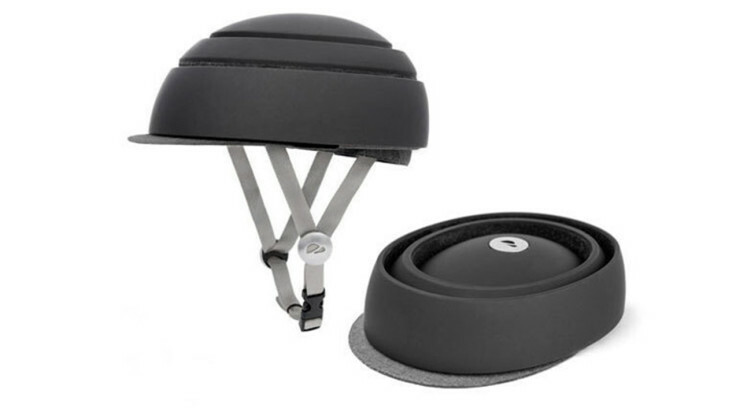 But the Closca Fuga Black collapsible helmet offers a potential alternative that might sway those who would wear protection if only it would fit in their bags. The helmet is made of three circular shell components, which fold down and nest inside each other to make a package that fits inside a bag. 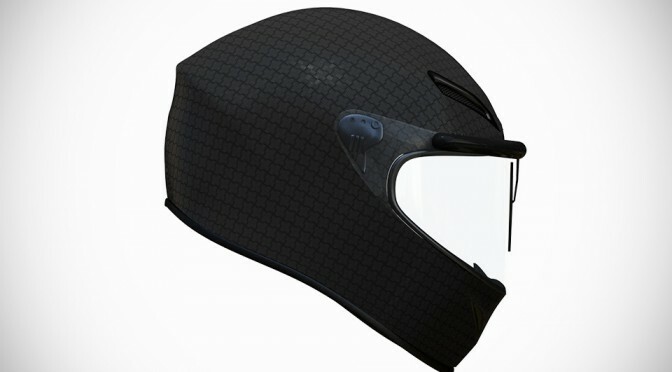 According to manufacturer Closca, the helmet has passed certification in Europe, Canada and the States, thanks to a combination of polystyrene and polycarbonate in the shell. The helmet even features hidden air vents, so you won’t overheat in the hot summer sun. It’s not necessarily the prettiest thing to look at, but what it lacks in looks it makes up for in convenience and protection. It’ll set you back €72.00 ($77USD), with shipping in Spring. By David Ponce on 09/10/14 • Leave a comment! Walking down the streets with some Google Glasses might make you into a bit of a Glasshole, but that doesn’t mean there isn’t a right time and place to be wearing a heads-up display. 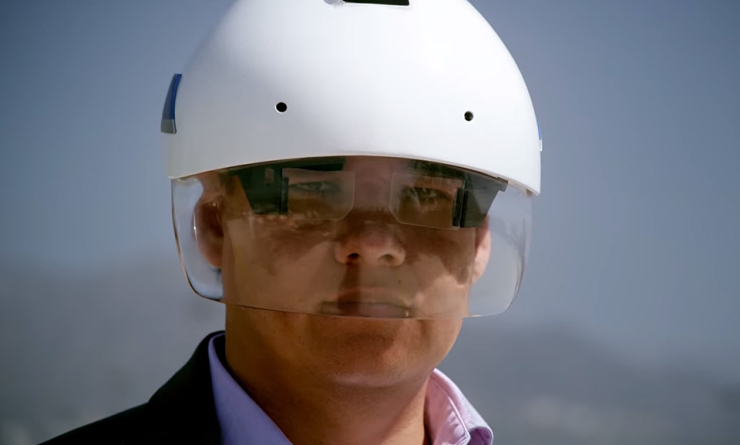 The DAQRI Smart Helmet pictured above features not one, but two semi-transparent displays that sit right into your field of view and augment your environment with potentially essential data. A set of cameras provide 360 coverage, allowing you to take photos, videos, and even make detailed 3D maps. It also means you could walk right onto a complex work zone, and know exactly where to go. You could have step-by-step, illustrated instructions displayed to you as you repair a crucial piece of machinery. 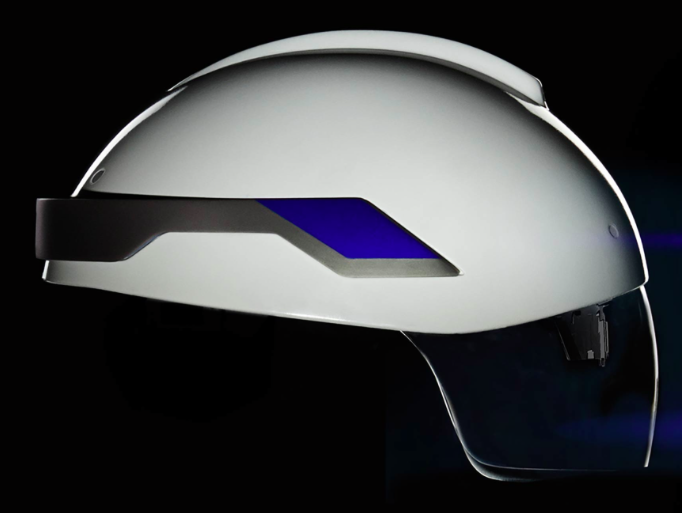 With the right software, the DAQRI Smrt Helmet could revolutionize today’s construction industry and dramatically increase its productivity. But it’s not on the market yet, and there’s no word how much it’ll cost once it is.